If you live or work in the Bristol or Somerset area, or are planning to visit the city on business or pleasure, you might not even be aware of some of the amazing go karting tracks that are lying right on your doorstep. The beauty of go karting is that it can be enjoyed by people of almost any age and ability, and if you’re looking for an exhilarating activity for a group or just for yourself, you absolutely have to give it a try! 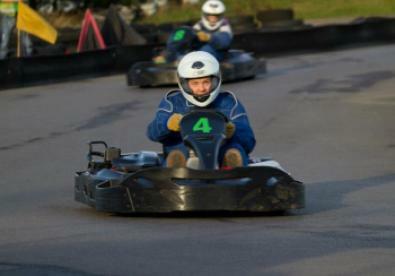 Here at KartingTracks.com, we can help you find both indoor and outdoor karting tracks in the Bristol and Somerset area. So, if you’ve been racking your brains for an alternative team building event, a way to keep small children or teens entertained with alternative kids birthday parties or cadet karting courses, or you’ve been put in charge of organise a stag party or hen party and are looking for a sure-fire way to score brownie points - relax – we’ve got you covered. Just some of the excellent venues you’ll find in our directory include Teamsport Indoor Karting Bristol, located just off the M5 in Avonmouth. It’s an excellent choice for team building activities, corporate karting events, and kids birthday parties, as it not only offers an array of varied event types (including junior karting, team building, and arrive and drive), but a Laser Combat arena as well! Equally accessible is West Country Karting – one of the South West’s finest outdoor go karting tracks. If you’re organising a stag party or hen party, look no further, because 70% of this venue’s customers are made up of stag and hen groups. To see our complete list of tracks in the Bristol area that offer activities such as cadet karting, arrive and drive, junior karting, kids birthday parties, and corporate karting events, dive in and browse our listings below.